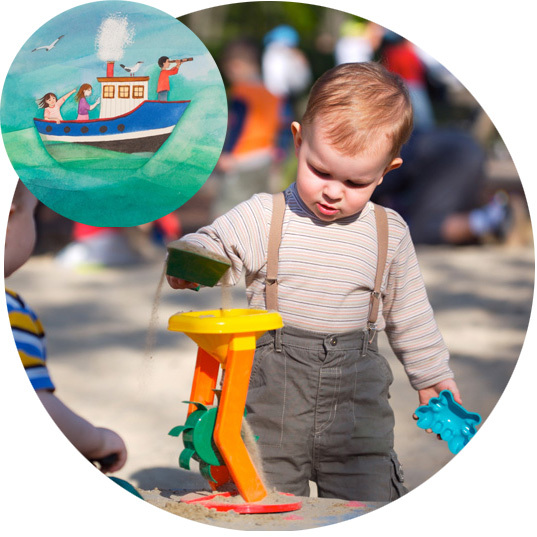 In our therapeutic work, we like to explain secure attachment with the help of metaphors. Safe and welcomed in, just as I am. When you are ‘there’ for your child, you make him feel safe. When he’s upset or frightened and you’re there to comfort him; when he’s been away having fun and you welcome him back and listen to the stories of his adventures; when he’s confused and he can turn to you for help understanding something; when he’s furious and wild and you remind him you’re still there and still love him, you make him feel safe. 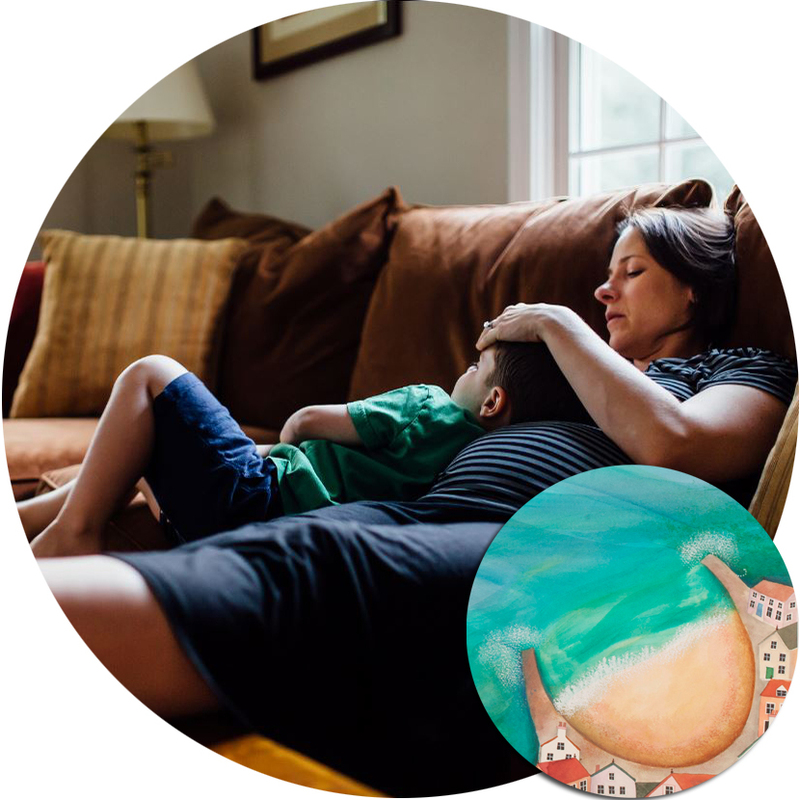 We think you are like a safe harbour for your child; you are like a safe, protected beach that he can come home to anytime he needs to relax or recover from something difficult, make sense of something confusing, and ‘re-fuel’ on your affection. He needs to be able to take any feeling, even the difficult ones into your safe harbour. When you are reliably there for your child, you build his confidence. He can feel brave enough to try new things because he knows he has a safe harbour to come back to if he ever needs. When your child is playing, making something, when she is looking at something carefully, trying something different, practicing a new skill, taking on a difficult challenge, she is exploring and learning. Children can only be truly playful and creative, and can concentrate best on their learning when they feel confident. When you are reliably ‘there’ for your child, she can feel brave enough to try things on her own – this is how true confidence grows; she feels safe trying new things knowing that if becomes too much to handle at any point, she’ll always be welcome back to you just as she is, and can get a little encouragement, help, rest, or comfort. When your child is struggling with something – when he is worried, frightened, lonely, angry, bored, confused, frustrated, sad, tired, or uncomfortable – we could say he is in rough seas. 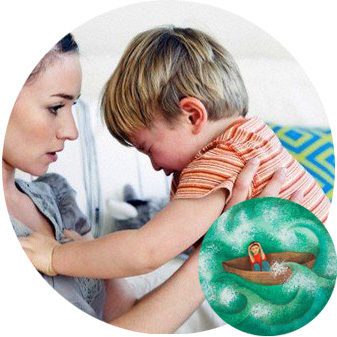 In rough seas, we mean any time that things feel difficult or worrying from your child’s point of view (even if they aren’t difficult or worrying for someone else). These are the times your child needs you to guide him back to you, and needs some help figuring out a feeling, or solving a problem. Through many, many, many repetitions of exploring, hitting rough seas, and being welcomed back to harbour by safe and containing parent, our children learn: I am understandable, my experiences make sense, my feelings are manageable, I am worth taking care of.